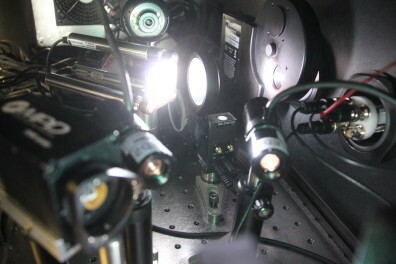 In this laboratory, we use advanced processing and optoelectronic characterization of organic electronic devices. Whether it’s high-precision physical vapor deposition or custom solution-coating, control of growth and formation of nanostructures is the root of how we control properties and device performance. Furthermore, our state-of-the-art device testing station enables multiple electronic, spectroscopic, and time-resolved measuremements on each device on a single stage in a computer-automated, high-throughput fashion. At X-ray light sources called synchrotrons, we conduct experiments including spectroscopy, microscopy, scattering, and diffraction to both further understand resonant optical interactions between X-rays and molecules and to use those interactions to reveal organic molecular nanostructure. We operate several instruments at this facility and even develop new X-ray instruments along the way. 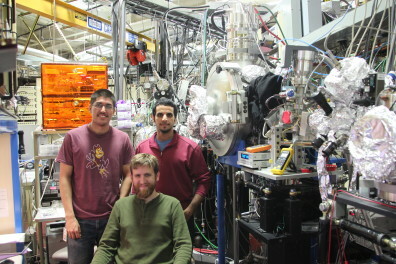 In particular we focus on techniques involving X-ray absorption fine structure interactions, combining spectroscopy with imaging and scattering.